The twenty-third edition of the wiiw Handbook has been released, with comprehensive, updated and expanded macroeconomic statistics for 22 CESEE countries. By Alexandra Bykova and Monika Schwarzhappel. 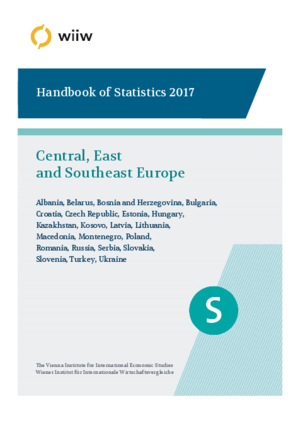 The wiiw Handbook of Statistics contains key macroeconomic and structural indicators for 22 economies in Central, East and Southeast Europe (CESEE), serving as an easy-to-use reference tool and facilitating comparisons across topics, countries and time. It has become an important source of reference for researchers, analysts with multinational corporations and banks, managers and policy-makers with a strategic interest in CESEE. More extensive and detailed data on peripheral CESEE economies than comparable databases. Sample tables and maps for each chapter can be viewed free here: PDF or Excel. Most of CESEE is growing at a very healthy rate. Average regional growth was 1.7% in 2016, but this was weighed down by weakness in the Commonwealth of Independent States (CIS). Outside of the CIS, all economies grew by more than 2%. 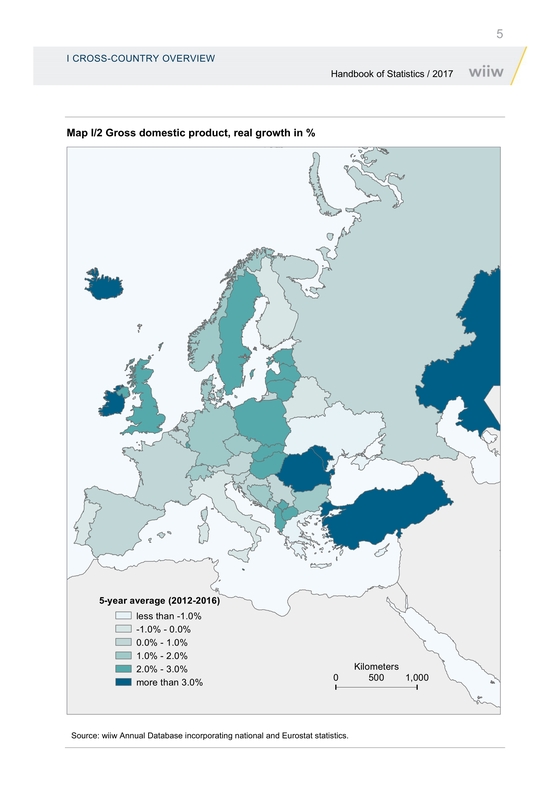 Romania was the top performer in the region, growing by 4.6%. The process of economic convergence in most CESEE countries with “old” EU member states has resumed, but the pace, measured by differentials to the real GDP growth rate in the EU15, is still slower than before the outbreak of global financial crisis. Growth differentials and convergence gaps in terms of GDP per capital at PPP relative to the EU-28 varies substantially between countries in the region. In 2016 the narrowest gap was achieved by Czech Republic with 88.3% of EU28 level. The lowest was Ukraine, with just 20.6% of the EU28 level. 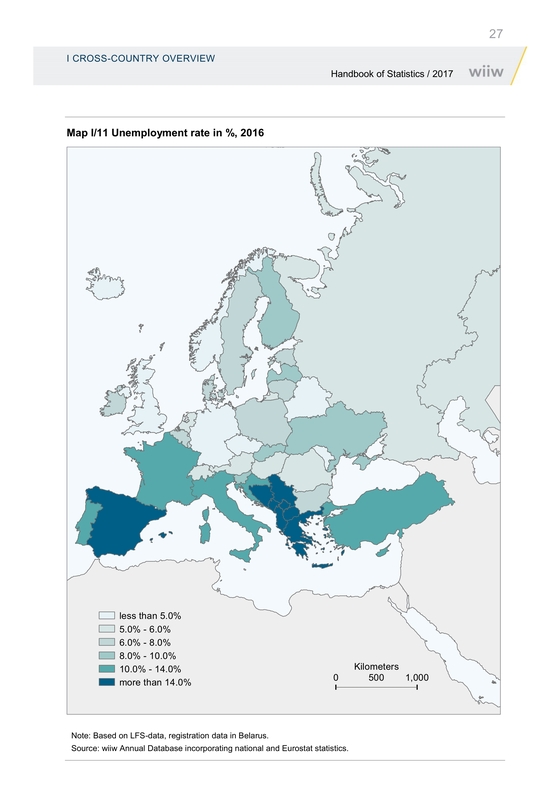 In terms of convergence, the main success stories of the five years to 2016 were the Czech Republic, Romania and Lithuania, which gained 6.0, 5.3 and 5.3 percentage points, respectively, against the EU28 average over the period. Meanwhile, Russia, Belarus and Ukraine have struggled, falling back by 15.2, 5.0 and 4.6 percentage points, respectively, versus the EU28 average over the same period. Robust economic performance in large parts of the CESEE region in recent years has been driven primarily by domestic demand. To a significant extent, rising household consumption has been underpinned by positive developments in the labour market. The Handbook of Statistics 2017 includes comprehensive labour market and wage data, facilitating deeper analysis of these trends. Foreign direct investment (FDI) in CESEE has risen in recent years, but remains far from the levels seen before the global financial crisis. Meanwhile CESEE economies are becoming ever more integrated into Western and Central European manufacturing supply chains. Chapters on FDI and foreign trade by partner indicate the degree of integration between CESEE countries and economies in Western Europe. These data would support, for example, an analysis of how and to what extent the currently very positive growth prospects for Germany will influence economic activity in different countries in CESEE. 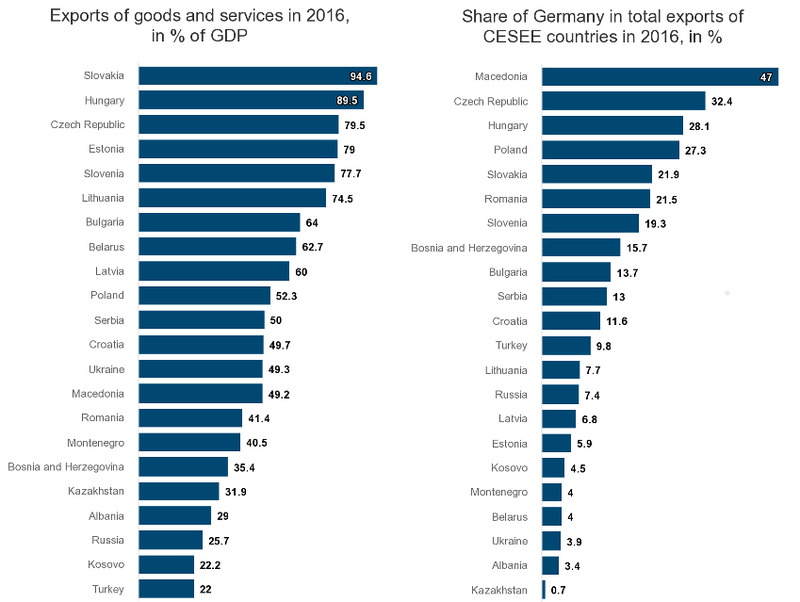 In recent years some countries in CESEE have seen quite significant changes in their export structure. 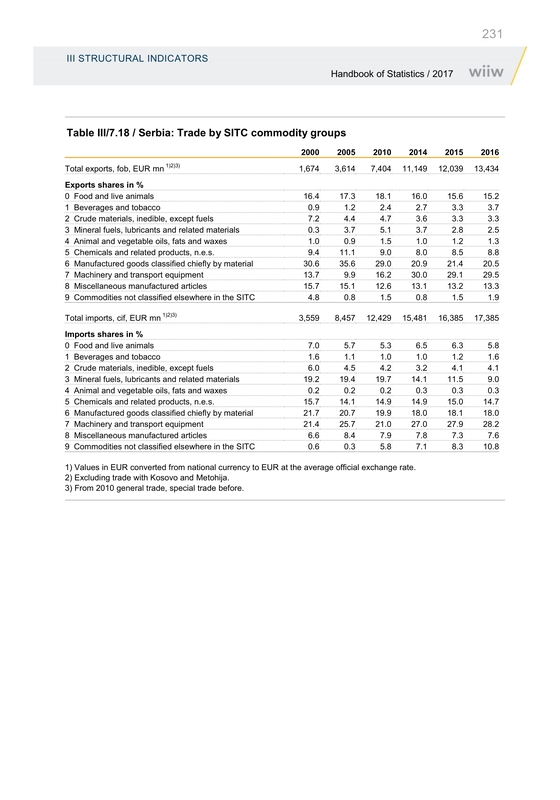 Serbia, for example, has seen both its total exports/GDP ratio rise quickly, and within this a dramatic rise in the share of machinery and transport equipment. 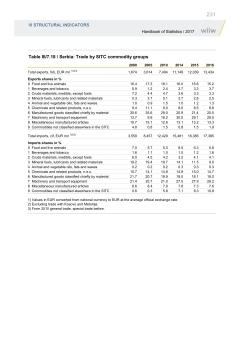 The 2017 Handbook chapter on foreign trade by commodities (by SITC) provides comprehensive breakdowns on all CESEE countries’ external trade, thereby allowing for an analysis of changes in their export structure over time. The wiiw Handbook of Statistics is available in hardcopy with the most recent years and in Excel format covering the whole period. The present issue of the Handbook represents already the twenty-third volume in this statistical publication series.